1.5+/- Acres and home within the lovely Forest Hills Community. Imagine all of your daily conveniences so close and accessible. Located just off of Rt. 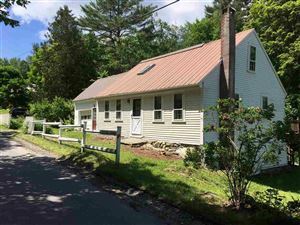 93, a short jaunt to the Village of Franconia mostly serviced by sidewalks, 3 miles to Cannon and yet magnificent views, shared pond with swim dock, private recreational trails throughout, green space/common land all just out your back door. 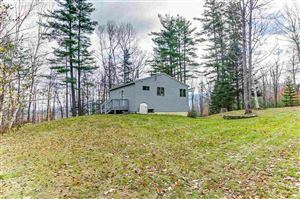 Forest Hills has a very nice mix of full time and vacation home residents all who love the outdoor recreation that surrounds and the community of folks. Like these homeowners have experienced - come feel the good times this property has offered - a gathering spot for many generations. 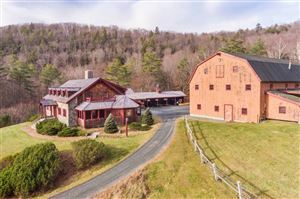 With the large living/dining area focal to the Franconia Notch views, floor to ceiling fireplace, maple floors and large deck you'll see why it's conducive to gathering and hosting many people. Direct entry 2 car garage leads to back hallway, a 1/2 bath, eat in kitchen, den, dining room and living room. Upstairs is master with private bath, guest rooms and 2nd full bath. Finished basement has den, full bath, with warm intimate feel, a great space for games, watching movies, kid's space. Walk out to covered patio that leads to extensive lawn and views beyond. 2 additional guest areas, bath, laundry and ample storage. The house is wired for sound, has central vacuum. Gain quality time spending more time recreating and making memories, less time on the road with this ever so convenient Forest Hills location!